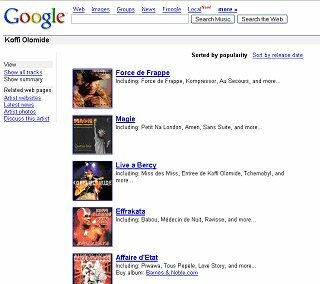 Home › Search Stuff › Google Music – New Search Interface? 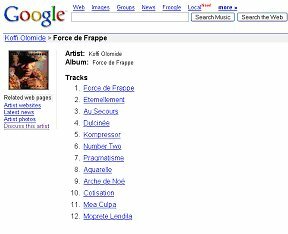 Google Music – New Search Interface? OK this may be old news but I spotted something I have not seen before. Then following one of those I got a listing of the tracks of that album, with links to discuss etc. So is this new or old old old. It’s rather new. Part of their recent dirctory building efforts in competitive categories. I dunno if this is new … it cropped up a while ago. 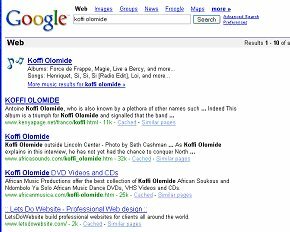 I thought I had seen this before so I had a quick search through my archives and found that it had launched mid-December 2005. 1 Pings/Trackbacks for "Google Music – New Search Interface?"